George Read (September 18, 1733 – September 21, 1798) was an American lawyer and politician from New Castle in New Castle County, Delaware. He was a signer of the Declaration of Independence, a Continental Congressman from Delaware, a delegate to the U.S. Constitutional Convention of 1787, President of Delaware, and a member of the Federalist Party, who served as U.S. Senator from Delaware and Chief Justice of Delaware. Read was one of only two statesmen who signed all three of the great State papers on which the country's history is based: the original Petition to the King of the Congress of 1774, the Declaration of Independence, and the Constitution of the United States. George Read was born in Cecil County, Maryland, on September 18, 1733. When he was an infant, the family moved to New Castle County, Delaware, settling near the village of Christiana. As he grew up, George Read joined Thomas McKean at the Rev. Francis Allison's Academy at New London, Pennsylvania and then studied law in Philadelphia with John Moland. He was admitted to the Pennsylvania Bar in 1753 and a year later he returned home to establish a practice at New Castle, Delaware. In 1763 he married Gertrude Ross Till, daughter of the Rev. George Ross, the Anglican rector of Immanuel Church in New Castle and widowed sister of George Ross, also a future signer of the Declaration of Independence. 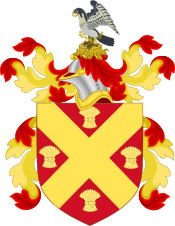 They had four children, John, George Jr., William, and Mary, who married Matthew Pearce (she is often confused with her paternal aunt, Mary Read, who in 1769 married Gunning Bedford, Sr., a future Governor of Delaware). They lived on The Strand in New Castle and their house was in what is now the garden of the present Read House and Gardens, owned by the Delaware Historical Society. They were members of Immanuel Episcopal Church. Eighteenth century Delaware was politically divided into loose factions known as the "Court Party" and the "Country Party." The majority Court Party was generally Anglican, strongest in Kent and Sussex Counties, worked well with the colonial Proprietary government, and was in favor of reconciliation with the British government. The minority Country Party was largely Ulster-Scot, centered in New Castle County, and quickly advocated independence from the British. Read was often the leader of the Court party faction, and as such, he generally worked in opposition to Caesar Rodney and his friend and neighbor, Thomas McKean. Read, like most other people in Delaware was very much in favor of trying to reconcile differences with Great Britain. He opposed the Stamp Act and similar measures of Parliament but supported anti-importation measures and dignified protests. He was quite reluctant to pursue the option of outright independence. Nevertheless, from 1764, he led the Delaware Committee of Correspondence and was elected to serve along with the more radical McKean and Rodney in the First and Second Continental Congress from 1774 to 1777. He was frequently absent, and when the Congress voted on American Independence on July 2, 1776, Read surprised many by voting against it. That meant that Rodney had to ride overnight to Philadelphia to break the deadlock in Delaware's delegation for independence. However, when the Declaration of Independence was finally adopted, Read signed it despite his natural caution. Anticipating the Declaration of Independence, the General Assembly of the Lower Counties declared its separation from the British government on June 15, 1776 in the New Castle Court House. 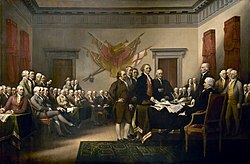 Once the Declaration of Independence was actually adopted, the General Assembly called for elections to a Delaware constitutional convention to draft a constitution for the new state. Read was elected to this convention, became its President, and guided the passage of the McKean-drafted document, which became the Delaware Constitution of 1776. Read was then elected to the first Legislative Council of the Delaware General Assembly and was selected as the Speaker in both the 1776/77 and 1777/78 sessions. At the time of the capture of President John McKinly, Read was in Philadelphia attending Congress; after narrowly escaping capture himself while he was returning home, he became President on October 20, 1777, serving until March 31, 1778. The British occupied Philadelphia and were in control of the Delaware River. Read tried, mostly in vain, to recruit additional soldiers and to protect the state from raiders from Philadelphia and off ships in the Delaware River. The Delaware General Assembly session of 1777/78 had to be moved to Dover, Delaware, for safety, and the Sussex County General Assembly delegation was never seated because disruptions at the polls had negated the election results. Read immediately argued for a new national government under a new Constitution, saying 'to amend the Articles was simply putting old cloth on a new garment.' He was a leader in the fight for a strong central government, advocating, at one time, the abolition of the states altogether and the consolidation of the country under one powerful national government. 'Let no one fear the states, the people are with us;' he declared to a Convention shocked by this radical proposal. With no one to support his motion, he settled for protecting the rights of the small states against the infringements of their larger, more populous neighbors who, he feared, would 'probably combine to swallow up the smaller ones by addition, division or impoverishment.' He warned that Delaware 'would become at once a cipher in the union' if the principle of equal representation embodied in the New Jersey (small-state) Plan was not adopted and if the method of amendment in the Articles was not retained. He favored giving Congress the right to vote state laws, making the federal legislature immune to popular whims by having senators hold office for nine years or during good behavior, and granting the U.S. President broad appointive powers. Outspoken, he threatened to lead the Delaware delegation out of the Convention if the rights of the small states were not specifically guaranteed in the new Constitution. Once the rights were assured, he led the ratification movement in Delaware, which, partly as a result of his efforts, became the first state to ratify and did so unanimously. Following the adoption of the US Constitution, the Delaware General Assembly elected Read as one of its two US Senators. His term began on March 4, 1789, and he was reelected in 1791 but resigned on September 18, 1793. Read served with the Pro-Administration Party majority in the 1st and 2nd Congress, under President Washington. He supported the assumption of state debts, establishment of a national bank, and the imposition of excise taxes. He resigned to accept an appointment as Chief Justice of the Delaware Supreme Court and served in that capacity until his death. Read's resignation from the Senate was before the first session of the 3rd Congress assembled, but it was not until February 7, 1795, four weeks before it adjourned, that Henry Latimer was elected to replace him. One of Delaware's Senate seats was, therefore, vacant from September 18, 1793 until February 7, 1795. Read died at New Castle on September 21, 1798, and is buried there in the Immanuel Episcopal Church Cemetery. His home, Stonum, is now a historic landmark. On The Strand in New Castle is the house built by his son, George Read, II. It is owned by the Delaware Historical Society, restored and opened to the public. There is a school named for him in New Castle and a dorm at the University of Delaware. In the Broadway musical 1776, Read is portrayed in a minor role as a proper, conservative, somewhat effete, and wealthy planter who has difficulty getting along with the other two members of the Delaware contingent who are for Independence. Duane Bodin  played the character in the original Broadway cast and Leo Leyden appeared in the film version. Read's brother Thomas was an officer in the Continental Navy during the Revolution. Another brother, James, was an officer in the Continental Army, and was later active in managing the navy under the Articles of Confederation. George Read's son George Read, Jr. served as the first U.S. Attorney for Delaware. Another son, John was a noted lawyer and banker of Philadelphia. George Read's great-granddaughter, Louisa, married Maj. Benjamin Kendrick Pierce, the brother of future President Franklin Pierce. Elections were held October 1 and members of the General Assembly took office on October 20 or the following weekday. The colonial Attorney General was appointed by the Crown. The Legislative Council was created in 1776 and its Legislative Councilmen had a three-year term. State Assemblymen had a one-year term. The whole General Assembly chose the Continental Congressmen for a one-year term and the State President for a three-year term. However, Read served as State President only temporarily, filling the vacancy created by the resignation of Thomas McKean and awaiting the selection of a successor by the General Assembly. The Chief Justice of the state Supreme Court was also selected by the General Assembly for the life of the person appointed. The General Assembly chose the U.S. Senators, who took office March 4 for a six-year term. However, Read's first term was only two years to establish a rotation. ^ this seat was vacant from September 18, 1793 until February 7, 1795. ^ a b c d One or more of the preceding sentences incorporates text from a publication now in the public domain: Wilson, J. G.; Fiske, J., eds. (1900). "Read, John, planter" . Appletons' Cyclopædia of American Biography. New York: D. Appleton. ^ Library of Congress Journals of the Continental Congress 1774–1789 (Government Printing Office, 1904–1937), Vol. 23, 765. ^ Munroe, John A. (1993). History of Delaware. ^ "1776". IBDB. Retrieved 2012-07-07. ^ Congress met at Baltimore, Maryland from December 20, 1776 – March 4, 1777, at Lancaster, Pennsylvania on September 27, 1777 and at York, Pennsylvania from September 30, 1777 to the end of his term. He did not attend the sessions at Lancaster or York. Munroe, John A. (1954). Federalist Delaware 1775–1815. New Brunswick, New Jersey: Rutgers University. Racino, John W. (1980). Biographical Directory of American and Revolutionary Governors 1607–1789. Westport, CT: Meckler Books. ISBN 0-930466-00-4. Hall of Governors Portrait Gallery; Portrait courtesy of Historical and Cultural Affairs, Dover.